It’s official: Philip Johnson and John Burgee’s postmodern Manhattan skyscraper 550 Madison, better known as the AT&T Building, is now a protected landmark. The Landmarks Preservation Commission (LPC) voted unanimously this morning to landmark the 1984 tower, making it the youngest building to receive landmark status in New York. A movement to protect the building began last year when developers Chelsfield America and Olayan America revealed plans to renovate the base of the tower. 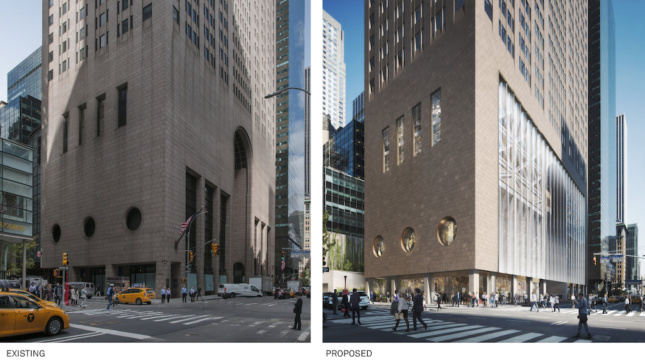 The contested (and protested) scheme from Snøhetta to strip the pink granite from the 110-foot-tall arch and loggias at the tower’s base and wrap it in glass drew immediate criticism when revealed in October 2017. The proposal would have unbalanced the tripartite arrangement between oversized openings at the base, in the central tower, and through the ornamental “Chippendale” topper, and preservationists and Johnson’s contemporaries rallied to prevent alterations. Before designating the AT&T Building as a landmark, commissioners noted the outpouring of support from residents, critics, and architects at the public hearing on June 19. Special attention was drawn to the building’s relatively recent completion date; Fred Bland, the interim chair of the commission, remarked that it was one of the rare buildings of which commissioners had experienced the original intent. To that end, commissioner Kim Vauss recounted that on a tour of the building in college she was struck by the grandeur of the original lobby. 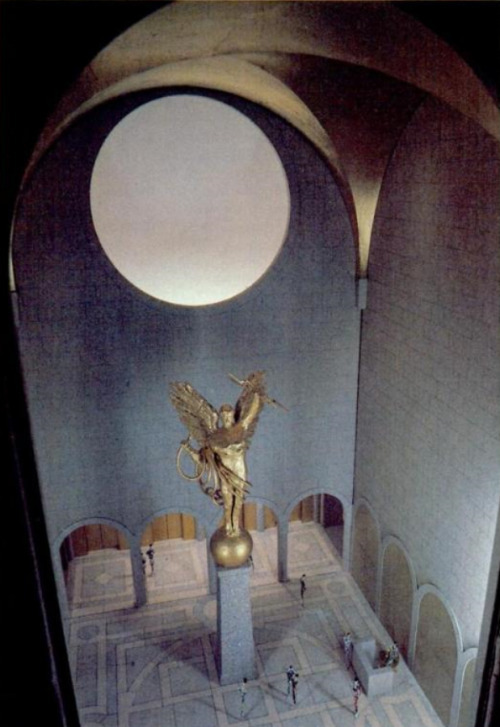 It was only years later that she would learn the original lobby was gone, AT&T’s Golden Boy statue having been removed by Sony in 1992, and the arcades having been converted into enclosed retail spaces in 2002. Keeping retail off of Madison Avenue and confined to the passage between East 56th Street and East 55th Street (now enclosed by a Gwathmey Siegel Kaufman-designed canopy added in 1994) was Johnson’s original intent, something that Sony disregarded during their occupation. 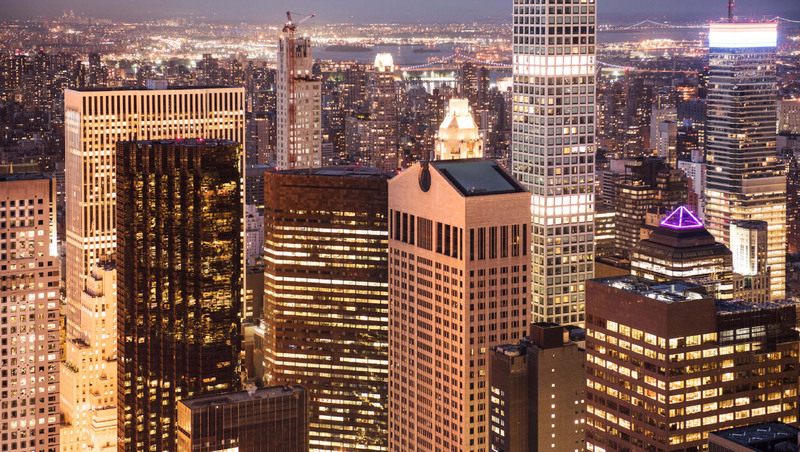 The lobby was ineligible for landmarking as the ownership consortium–including minority partner RXR Realty­­­­–demolished the ground floor interior in February. The demolition is part of ownership’s plan to reorient the building by creating a large enclosed garden and seating area in the rear and to open up sightlines through the new lobby. The tower’s interiors, originally designed for 800 single-tenant employees, will be converted into Class A office space for up to 3,000 workers.